I kind of blew it. When I posted the recipe for my Croquetas de Chorizo with Saffron Aioli dipping sauce—I seemed to have left out the recipe for the aioli. DOH! 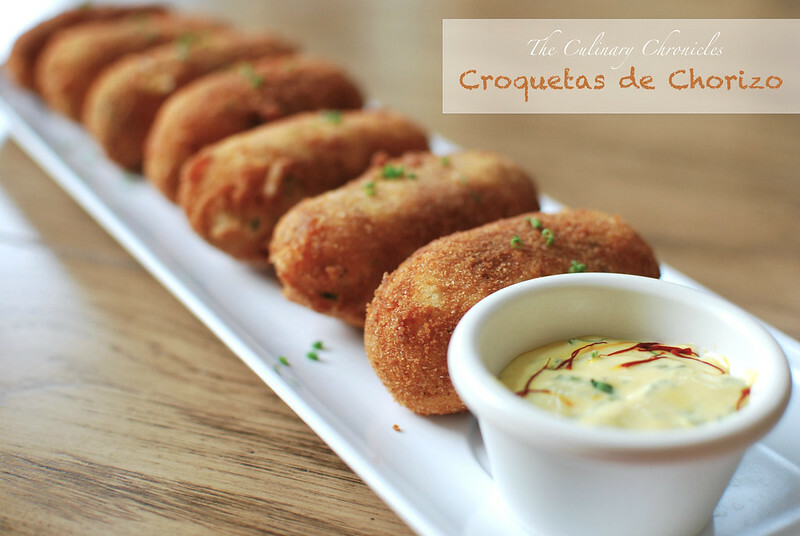 Quick, easy, deeply floral from the saffron and wonderfully creamy to dunk the croquetas in. And if you should find yourself with a bit leftover, it’s absolutely delicious in lieu of mayo in potato salads, deviled eggs, or even in sammies. Just keep in mind that if you’re wary of eating raw yolks, you’ll want to use pasteurized eggs. In a small bowl, place 1/2 cup olive oil and saffron threads. Stir and allow the saffron to steep for 15 minutes. Add garlic, egg yolks, mustard and lemon juice into a blender. Pulse several times until the items have mixed together. 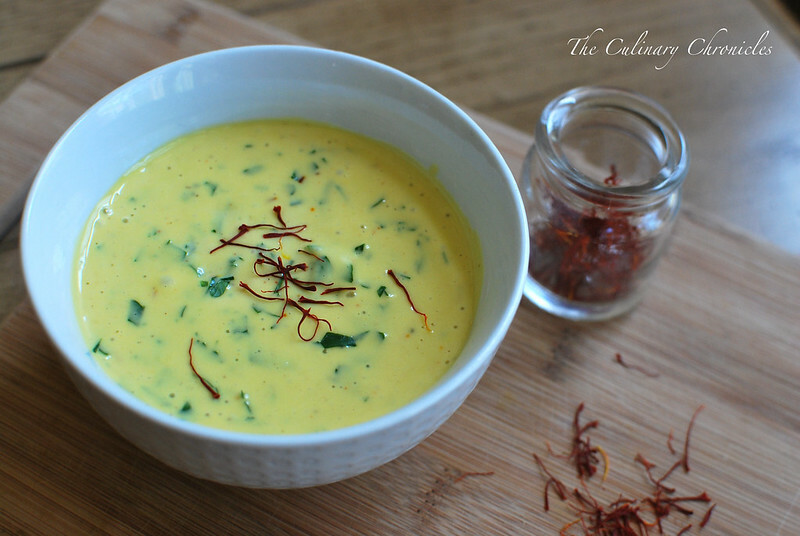 Turn the blender on low and slowly stream in the saffron steeped olive oil. Stop to scrape down the sides and continue to blend on low to stream in the remaining olive oil Add the parsley, paprika and season with kosher salt and pepper as needed. Pulse to combine. Refrigerate, covered for at least 30 minutes before serving. Optional: Before service, sprinkle with additional parsley and a saffron threads.